Generations apart; but on Saturday 24th November at the Sparta 2018 ITTF Pan American Championships in Santiago, Chile, at the quarter-final stage of the Men’s Singles event, Brazil’s 37 year old Thiago Monteiro and Argentina’s 20 years of age, Horacio Cifuentes achieved the same positive result. Both emerged successful, moreover both defied the seeding to reserve semi-final Men’s Singles places. Thiago Monteiro, the no.8 seed, accounted for Ecuador’s Alberto Miño, the no.4 seed (11-3, 11-8, 11-5, 11-3) in a round of mixed fortunes for Brazil, Eric Jouti, the no.3 seed, was the victim of Horacio Cifuentes, the no.5 seed (8-11, 11-7, 11-7, 13-11, 11-9). Success for Thiago Monteiro in a city for which the Brazilian stalwart has a distinct liking; at the GAC Group 2015 ITTF World Tour Chile Open, he emerged successful in the country’s capital city. 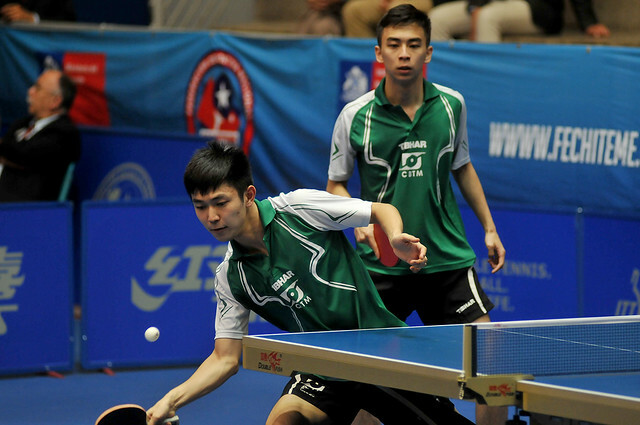 Furthermore, he avenged the defeat experienced at the hands of Alberto Miño when the pair had met just over one year ago in the Men’s Team event at the 2017 ITTF Pan American Championships in Cartagena de Indias. The success gained by Thiago Monteiro, when considering his past record on the international stage, notably crowned Latin American champion in 2004 in Valdivia and four years later in Santo Domingo, was no great surprise, nor was the win recorded by Horacio Cifuentes. Notably, Horacio Cifuentes and Eric Jouti had met on two prior occasions on the international scene; on both meetings Horacio Cifuentes had gained the verdict. Last year in Cartagena, he had prevailed in the third round of the Men’s Singles event; this year he had won at the South American Games in Cochabamba. He has emerged successful at the semi-final stage of the Men’s Team competition. Successes contrary to status, in the remaining quarter-final Men’s Singles contests, the outcome was as predicted. Kanak Jha of the United States, the top seed, beat Puerto Rico’s Brian Afanador, the no.6 seed (11-7, 11-9, 11-8, 10-12, 11-2); Paraguay’s Marcelo Aguirre, the no.2 seed, ended the hopes of Mexico’s Marcos Madrid, the no.9 seed (11-3, 13-11, 4-11, 12-10, 11-8). At the semi-final stage Kanak Jha meets Thiago Monteiro, Horacio Cifuentes confronts Marcelo Aguirre; the Men’s Singles event will be played to a conclusion on Sunday 25th November.